PLEASE NOTE: This is a natural product and there will be variations from roll to roll and strand to strand. 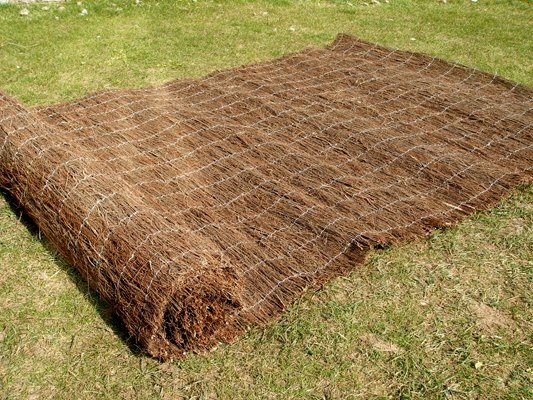 We cannot guarantee each roll or strand are identical as colour, width and length will vary. For example, the width/thickness along the same roll will vary between 5mm and 15mm. The average width is approx 7mm. 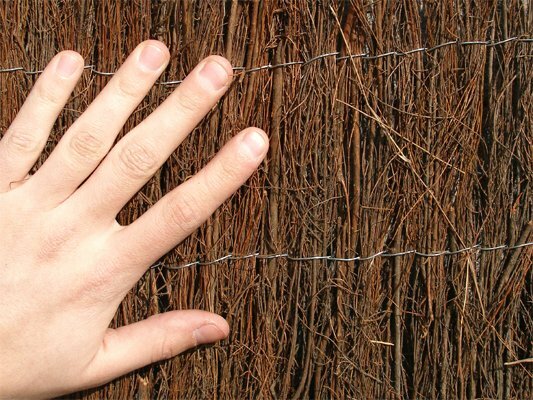 Whether you are going to attach the screening to an existing fence, wall, or arbour, you will need to make sure it is fixed securely. 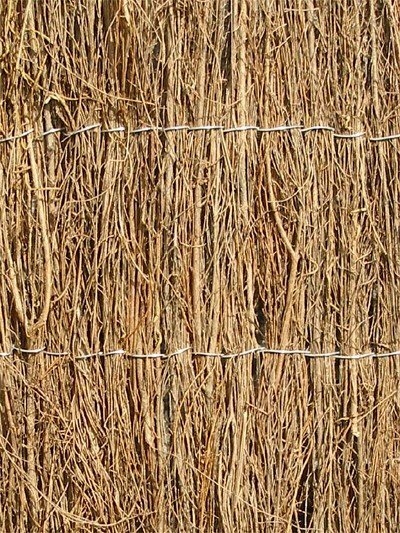 To achieve this, we recommend using our galvanised wire, ratchet strainers and cable ties. "Great quality product at competitive price." 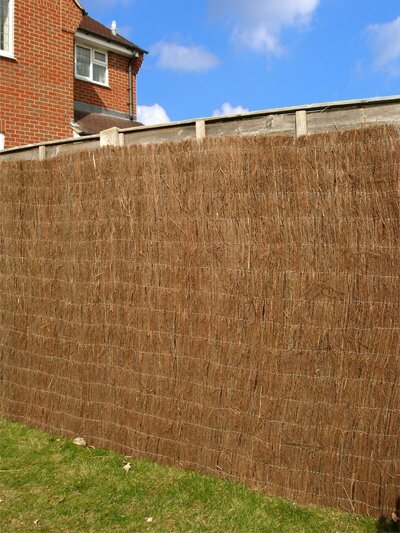 "Good for temporary screening till the hedge grows"
"Good screen had to stream it to get 4 metres"
"I ordered the ‘thick’ screening and was very pleased with how thick it actually was, compared to a roll of standard I bought last year from B&Q." "Prompt delivery and good screen"
"Looks good and screens the old cars in the next field." "Arrived quickly, and for a remarkably low cost, recommended." "very good quality - description is accurate!" "Haven't used it yet but looks good"
"good quality, perfect for the job."